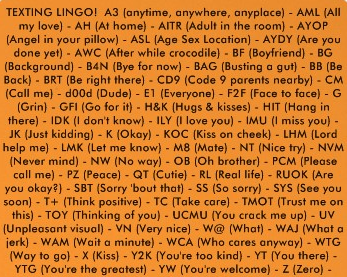 Hip Young Thing Speak – I Learned some new texting things – thought I should share with anyone reading who is over 16! 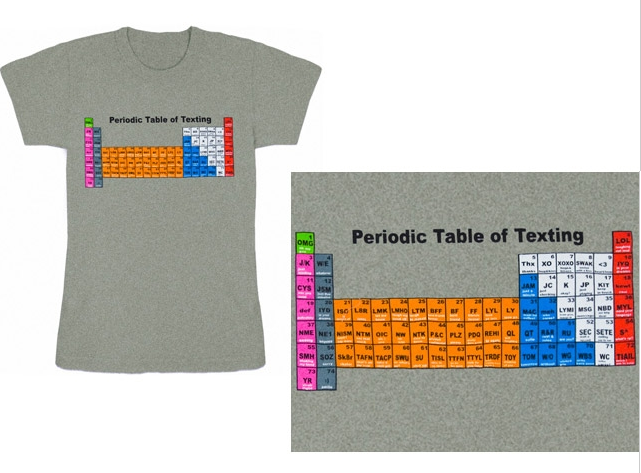 Also, Check out the fun tee shirts that are out there – including one you can customize yourself with fabric markers. This entry was posted in ideas and tagged Design, writing. Bookmark the permalink. Small Biz Soap and Lotion makers unite!